This year's issue of the Vildmarksmässan (the Wilderness Fair) in Älvsjö was a bit special. The exhibition celebrates 30 years and some new features was added to the program. New this year was; Fotoskolan and Camp Vildmark (Camp Wilderness). 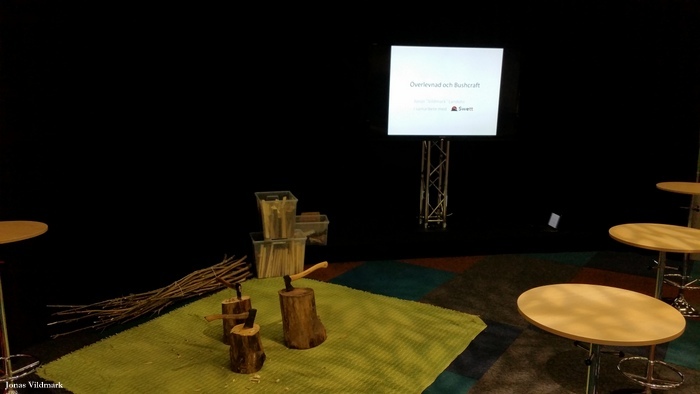 The idea of Camp Vildmark is to offer the visitors a menu of short courses inside the fairground to educate and inspire the visitors prior to their upcoming adventures. 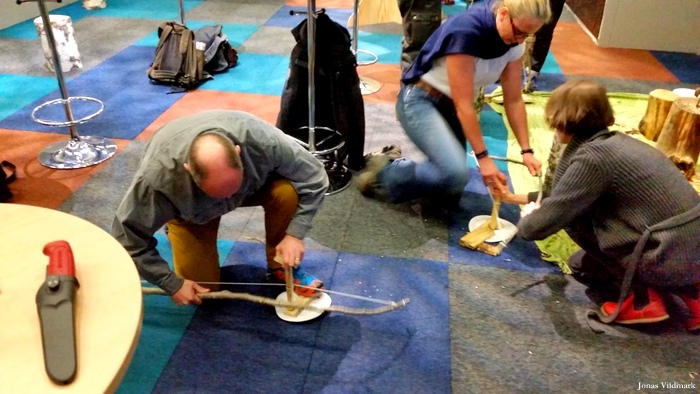 A wide range of experts was gathered by the company Swett arranging Camp Vildmark together with Vildmarksmässan. 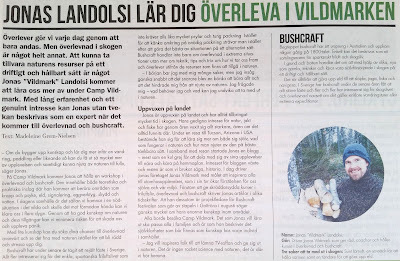 I got the honors of sharing my experiences of Survival and Bushcraft during one of the courses held daily during the weekend. It was a crash course with 90 minutes of basic survival. We mixed theory with practical exercises and some of the topics touched upon was Psychology, Fire, Water, Shelter and Gear. I got interviewed by Madeleine Grem-Nielsen for this years fair magazine, also to be found in Dagens Nyheter. If you click on the pic below you'll be able to see the article. 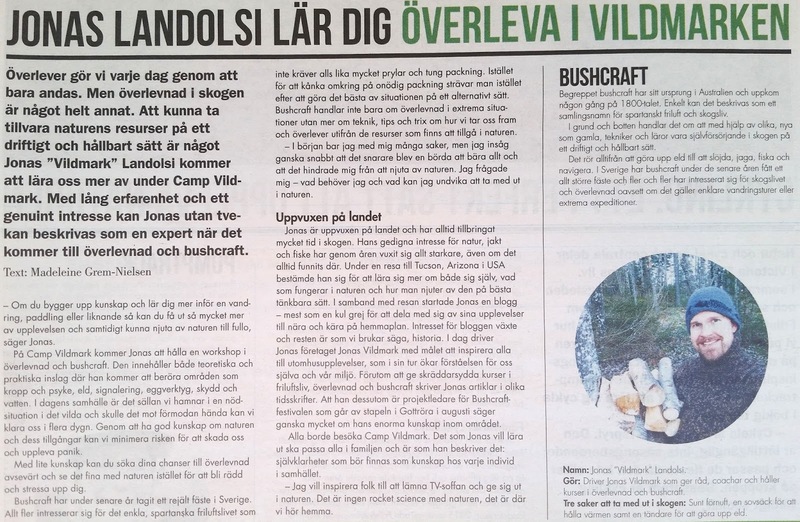 I think the premiere of Camp Vildmark was a success and all the nice feedback from the enthusiastic attenders still warms my heart. Thanks to all involved in making this happen!